Full range of cosmetic, fashion, sunglasses, bathroom, soap sheets, clothing brush, sewing kit, Hound Dog, sunscreen, and laundry promotional products. Below is our full range which is always being updated, so keep a look out. When there's a small emergency this is a must-have. Contains: 2 x non-adherent pads; 1 x 5cm x 4.5metre bandage; 1 x 7.5cm x 4 metre bandage; 1 x pair gloves; 1 x pair of scissors; 10 x safety pins; 6 x isopropyl alcohol wipes; 10 x sticky plasters; 1 x roll of tape. When you need to clean up, reach for this handy hand sanitiser with silver carabineer. Dimensions: 131mm x 124mm x 50mm. Effective comfortable to use massager. Colours: White, Yellow, Orange, Green, Pink, Red, Blue, Purple, Black. Features: Pocket sized pack of 10 tissues, (folded) 3 ply tissues. Features: Book of 12 brightly coloured emery boards. Product Size: 95mm x 52mm. Print Area: 50mm x 25mm. Click here to download product spec sheet pdf. 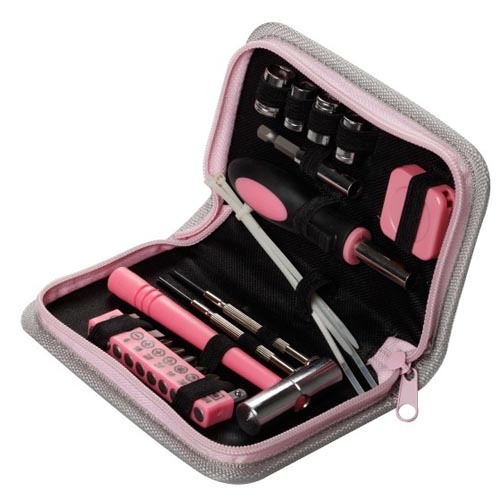 Ladies and gents manicure set. The pefect gift to have with you at all times. Brand it with your logo or message. Folding hair brush completed with mirror. Good sized printing area. Comes in poly bag. Colours - silver with black trim. 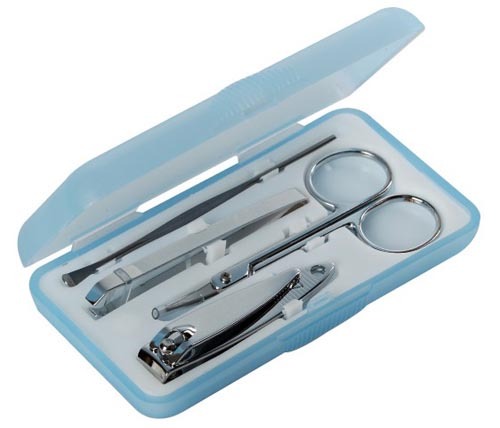 Features: Microfibre cloth for cleaning screens and eyewear.Supplied in a handy case with a large printing area. Available in white with red brush. Effective clothes brush complete with a sewing kit. Fantastic travel product. Supplied in polybag. Colour: Clear with white trim. Features: A smart looking, good quality multi function pedometer. resealable polybag at 38c each. Polishing or duster cloth transfer printed in full colour. Available in metallic silver, blue and black. The printing cost includes printing on both arms. If you just want one arm printed, just half the printing cost on the right. Fully functional and stylish pair of sun glasses with a print area on both arms. Can be conventionally printed or have a full colour label applied. Dimensions: 109mm x 54mm x 32mm. Print Area: Pad printing – 30mm x 18mm (1 colour only). Full colour label – 40mm x 20mm (print can bleed off all sides). Cancer Society Sunscreen is New Zealand’s largest selling and most trusted brand of sunscreen. Now you can use the Cancer Society SPF30+ sunscreen to promote your brand while supporting the valuable work of the Cancer Society. This smart looking tube holds 50g of SPF30+ broad spectrum sunscreen with 2 hours of water resistance. Dimensions: 106mm x 55mm x 22mm. Back – 35mm x 12mm. SPF 30 sunscreen and moisturiser in a handy 60ml size. Fits comfortably into pockets. Flip top. Full description of ingredients. Dimensions: 42.7mm x 34mm x 120mm. Features: High quality SPF 30 sunscreen, complete with a clip anywhere carabineer and large print area. FDA approved. 25mm x 40mm or 20mm x 50mm. Feature: SPF30+ Sunscreen with moisturiser in a convenient 50ml tube. A conventional SPF 15 lip balm combined with an SPF 30 roll on sunscreen stick. Complete face sunscreen protection in one handy stick. Pad print: 25mm x 40mm or 20mm x 50mm. Features: Lightly fragranced hand and body lotion enriched with Aloe Vera and Vitamin E.
Print Area: 50mm circle but allowance must be made for indentation. A pill box that has a very effective built in pill cutter. Colours available - silver, yellow, red, green, blue, black. Supplied in a poly bag. Unique holder for sun glasses and driving glasses. Fits on a car sun visor or belt. Note the prices above exclude GST except for the sale of 1unit which is retail and includes GST. Printing setup $63.00 per colour and/or position. Repeat setups in the future are $36.00 per colour and position. Includes first half hour of artwork. Subsequent extra artwork $75.60 per hour (both excl GST). Premium Quality German manufactured lip balm with a golf ball shaped top. Has a pleasant vanilla flavour and SPF 20 sunscreen. Important Additional Information - If the lip balm is intended for retail sale the ingredient information must be included - this can only be done with wrap around screen print. You must specify on your order that you want the ingredient information printed . If it is not specified your order will be printed without it. Colours: frosted white, frosted yellow, frosted red, frosted blue and frosted green. Premium Quality German manufactured lip balm complete with a handy lanyard. Lanyard can be the same colour as the balm or mix and match. Pleasant vanilla fragrance and SPF 20. Pad printing – 25mm circle. High quality German manufactured lip balm complete with a pleasant vanilla fragrance and SPF20 sunscreen. P.U. stress ball with multi colour printing available. Round stress ball promotional product which can be printed. Put your logo on a walking bill board. Our tattoos are printed with people friendly FDA & CE compliant 4 colour process inks which will make your promotions fun and safe. With a minimum order of only 1000pcs and delivery in about 15 working days, temporary tattoos are a fantastic inexpensive promotional item.